Luxury watches are the products of the pinnacle of horology. They effortlessly exhibit elegance and quality by making use of the best materials available in the market. Their appeal mostly comes from their exclusivity and what they tell about your wealth and level of financial capacity. Owning one is like saying that you’ve made it; that you’re wealthy enough to spend thousands of dollars on a single timepiece. Even though you have the money to buy whatever you want, you’d still want to have a guide that will help you select the best beginner luxury watch to avail. Who knows? You might want to start collecting luxury watches since their price typically goes up as time passes by, especially if they belong to a limited edition collection. With this, you would want to have a good start and it’s what this guide aims to provide. There are a lot of luxury watches in the market. Here’s a list of entry level luxury watch brands and the timepieces that will suit a wide range of budget. Audemars Piguet belongs to one of the oldest watchmakers in the history of horology. They’re one of the prestigious brands known for introducing revolutionary designs and daring concepts for a timepiece. Their Royal Oak collection is perhaps their greatest achievement as it includes some of the most iconic timepieces ever made. The 41mm Royal Oak is perhaps the most iconic timepiece in our list due to its shape. It has a stainless steel case and bracelet, a patterned black dial, hour markers applied with white gold, a date window, luminescent hands and markers, and a self-winding mechanism. 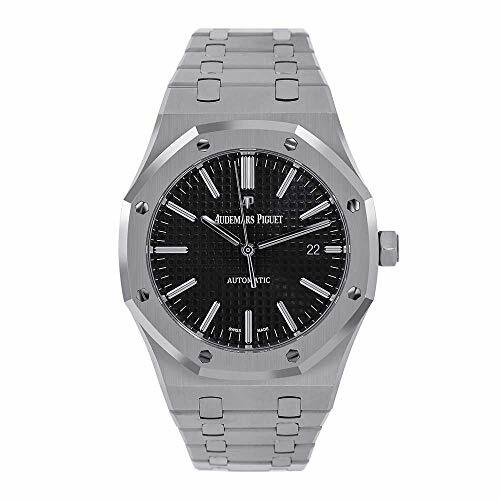 This is the best beginner luxury watch for those who want to collect Audemars Piguet timepieces. 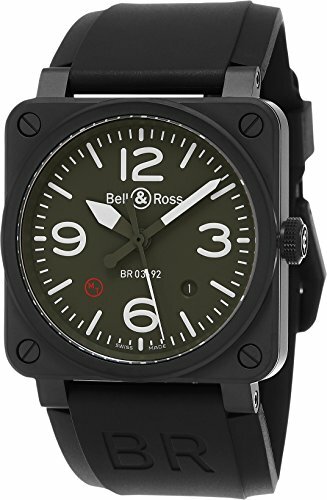 Bell & Ross is a fairly new name in the horology industry. The company started only as a university project, but they’re now known for creating durable and functional watches with designs inspired by aviation controls found on military airplanes. As a result, their collection features timepieces that have a utilitarian and military feel. The 42mm Aviation BR-0392 has a stainless steel case and bezel, a rubber strap, a sapphire crystal, a black dial with Arabic numerals on the 3, 6, 9, and 12 o’clock positions, a tang clasp, a date window, luminescent hands and markers filled with Superluminova, and a 21-jewel automatic movement. Its price and quality make this the best beginner luxury watch to try out. The brand started in 1884 and its founder, Léon Breitling, focused on making chronographs. The company continued evolving as it was passed down to the next generation but the focus on creating precise chronograph timepieces never died down. The company eventually gave birth to the Navitimer collection which remains to be one of the most iconic watches ever made. To this day, Breitling is known for creating watches with functions made especially for aerial navigation. The 43mm Chronometer A42362 has a stainless steel case, band, and bezel. This timepiece has a sapphire crystal, a date window at the 4:30 position, crown pushers, a tachymeter scale on the unidirectional rotating bezel, a scale rule dial, three chronograph subdials, luminescent hands and markers, a fold-over clasp, and a caliber 42 self-winding automatic movement. The 41mm Colt Automatic 41 has a stainless steel case, a screw-down crown, a ratcheted unidirectional bezel, a stainless steel bracelet, an anti-reflective sapphire crystal, a date window, luminescent hands and markers, a 25-jewel Breitling 17 self-winding mechanical movement. This entry level luxury watch from Breitling is available in different dial colors. Cartier is one of the most prestigious jewelers in the world. The French brand started in 1847 and has been known to serve a long list of royalties, celebrities, and highly-positioned officials from various countries around the world. Today, it remains highly-regarded among manufacturers of luxury goods, ranking around 59th in the Forbes list of the most valuable brands on a global scale. The 40mm Roadster 3312 has a stainless steel case and bezel and a leather strap. It has a sapphire crystal, a silver-colored dial with Roman numeral hour markers, a date window, luminescent hands, a butterfly clasp, and a caliber 049 self-winding automatic movement. 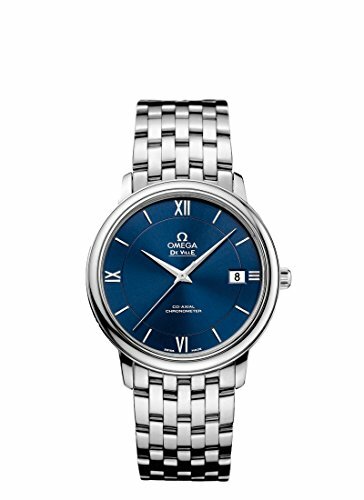 The 41mm x 31mm Tank Solo XL is a rectangular shaped timepiece that has a stainless steel case, blue steel hands, a scratch-resistant sapphire crystal, an alligator leather strap, a white dial with Roman numeral hour markers, a beaded crown, a date window at the 6 o’clock position, and a calibre 049 automatic movement. Chopard is a Swiss brand which started in the 1860s with products catering mostly to ladies’ jewelry. The company has since established its reputation as a reliable watchmaker and is now serving luxury timepieces alongside popular and prestigious manufacturers. The 44mm Mille Miglia 16/8459 has a stainless steel case, a rubber strap, a sapphire crystal, a stainless steel tachymeter bezel, a magnified date display at the 3 o’clock position, luminescent hands and markers, a dial with large Arabic numeral hour markers on the 6 and 12 o’clock positions, and an ETA-Valgranges caliber A07.211 movement. It has three chronograph subdials displaying 12-hour, 30-minute, and 60-second functions. If you’re into large watches with multiple functions, this is the best beginner luxury watch for your taste. 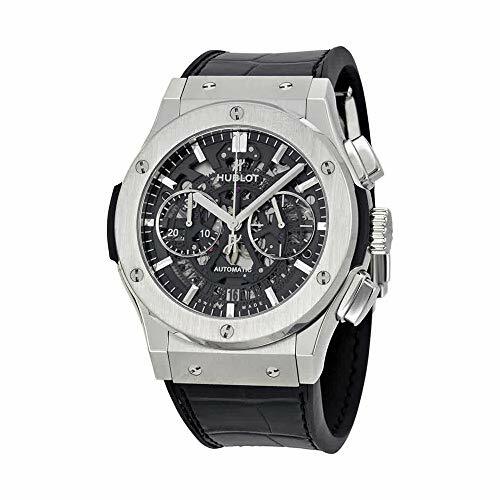 Hublot is fairly new to the watchmaking scene, having started only in the 1980s. However, even at a relatively short history of manufacturing watches, they’ve proven that they can compete against established brands. Receiving massive appreciation from their ‘Big Bang’ collection, they’ve cemented their name as one of the most prestigious watchmakers in the world. The 42mm Fusion has a satin-finished titanium case and bezel, a rubber strap, an anti-reflective sapphire crystal, a matte black dial with rhodium-plated hour markers, a date window, and a HUB 112 self-winding automatic movement. 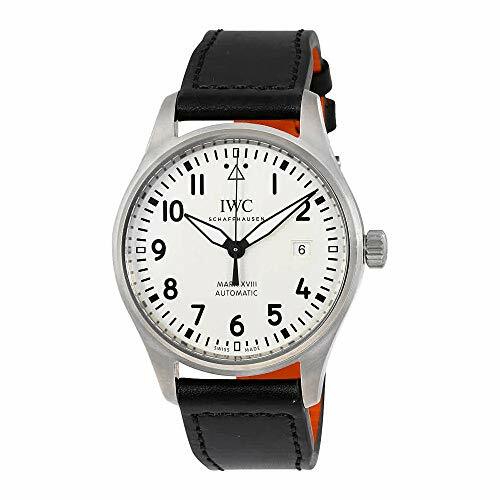 IWC or the International Watch Company started in 1868 as a manufacturer of pocket watches before expanding into making wristwatches for both men and women. Later on, they started producing watches for military use. Today, they now have a variety of watch designs, ranging from conservative, military-like variants to adventurous skeleton dials and sports watches. The 40mm Mark XVIII has a stainless steel case, a screw-down crown, an anti-reflective sapphire crystal, a black, calfskin, leather strap, large Arabic numerals for hour markers, a date window, luminescent hands and markers, and a caliber 35111 self-winding automatic movement. This is the best beginner luxury watch from IWC. The 38mm Portofino 3533 is the best beginner luxury watch for those who are looking for a timepiece with a minimalistic design. It has a stainless steel case and bezel, an alligator leather strap, and a 23-jewel, caliber 30110 self-winding movement. The Swiss watchmaker started in 1848 and has served requests from various government and non-government bodies to create watches for specific purposes. They managed to create official timepieces for NASA, for the Olympic Games, and for diving authorities. Their watches are very popular for being the James Bond’s accessory of choice in several of the films in the movie installment. The 39mm Speedmaster 3513.50.00 features a stainless steel case, bezel, and band. It also has a sapphire crystal, a date window, a tachymeter bezel, luminescent hands and markers, crown pushers, a push button clasp, and a caliber 1152 self-winding chronograph movement. It features three chronograph subdials which offer a 12-hour, a 30-minute, and a 1/10 second functions. 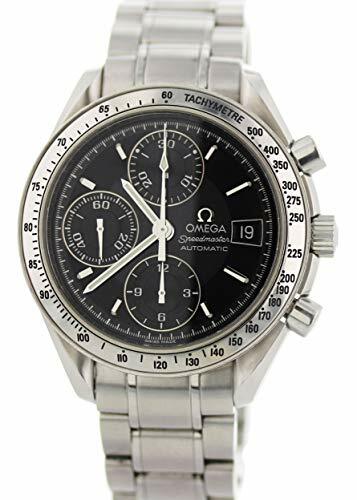 This is the best beginner luxury watch for those who want to start collecting the Omega Speedmaster series. The 39.5mm DeVille Prestige has a stainless steel case, a scratch-resistant sapphire crystal, a blue dial with Roman numeral hour markers on the 12, 3, 6, and 9 o’clock positions, a date window at the 3 o’clock position, a leather strap with alligator pattern, a tang buckle, and a caliber 2500 self-winding movement. 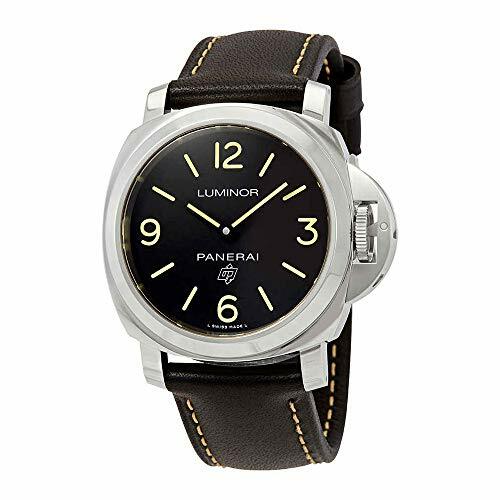 Panerai is an Italian watch manufacturer that started in the 1860s. 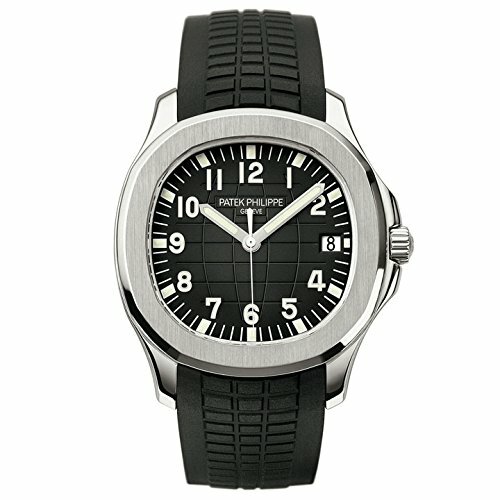 They’re well-known for making watches for the army and the navy, emphasizing their reputation for developing sturdy and reliable accessories. Their Luminor and Radiomir collections are their most notable timepieces sought after by collectors and non-collectors alike who want no-nonsense watches. The 44mm Luminor Base Logo has a 316L stainless steel case and bezel, a leather strap, a crown guard, a black dial with Arabic numeral hour markers at the 12, 3, 6, and 9 o’clock positions, luminescent hands and markers, and a 19-jewel caliber P.6000 mechanical movement. For Panerai fans, this is the best beginner luxury watch for your collection. 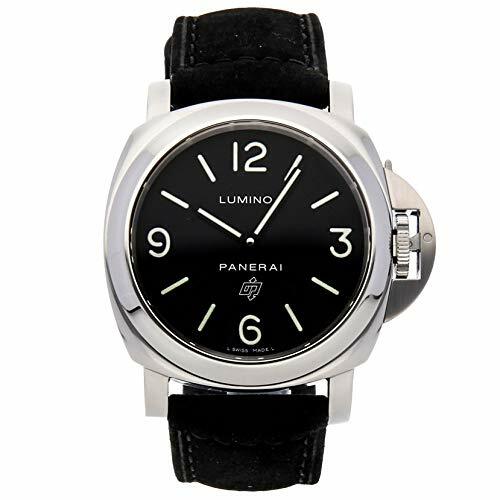 The 44mm Luminor PAM 000 is one of the best entry level luxury watches if you’re into collecting Panerai timepieces. It has a stainless steel case and bezel, a leather strap with a tang clasp, a black dial with large Arabic numeral hour markers at the 12, 3, 6, and 9 o’clock positions, a crown guard, a sapphire crystal, and a caliber OP I hand-winding movement. 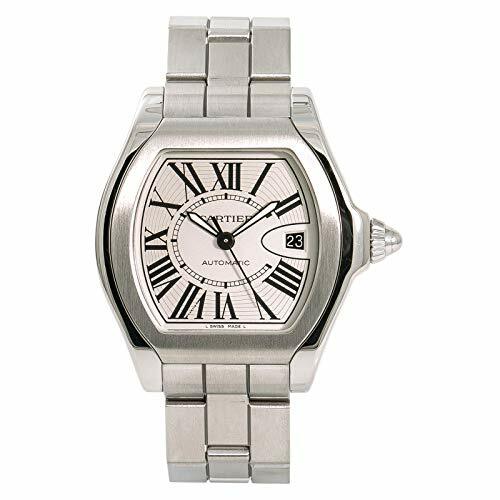 Patek Philippe is a Swiss watch manufacturer that started in the 1840s. They’re known for serving nobles and producing some of the most expensive watches sold at auctions. 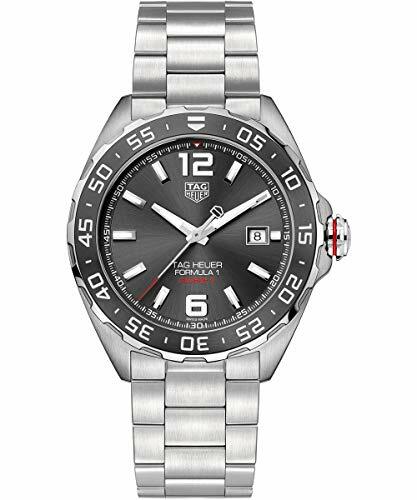 They’re renowned for their Nautilus line of prestigious watch, along with the Aquanaut which seems to be the best beginner luxury watch from their brand. The 40mm Aquanaut 5167A is a descendant of the Nautilus series. It has a stainless steel case and bezel, a sapphire crystal, an exhibition case back, a black dial with Arabic numeral hour markers, a rubber bracelet with a stainless steel folding clasp, crown guards, a date window, luminescent hands and markers, and a caliber 324SC self-winding movement. 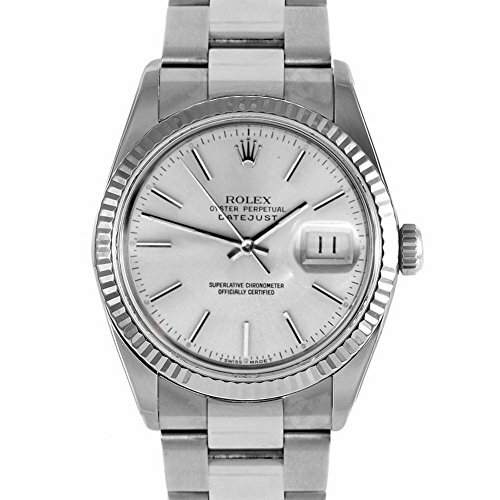 The name Rolex is almost synonymous to prestige and needs not much introduction. Since its start in the 1900s, the brand continues to manufacture impressive watches that continue to make marks in the history of watchmaking. 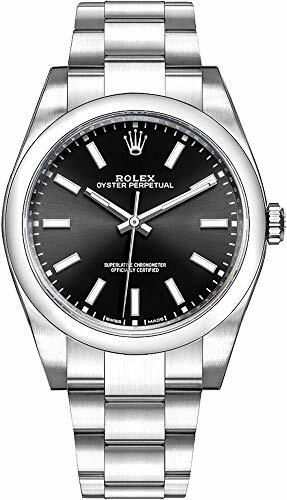 The 36mm Datejust 16014 has a stainless steel case, a fluted bezel covered with 18k white gold, a Cyclops date window, an acrylic plexiglass crystal, a stainless steel Jubilee bracelet, luminescent hands and markers, and a 3035 self-winding mechanical movement. The 39mm Perpetual 39 has a 904L stainless steel case, bezel, and band. This entry level luxury watch features a dark rhodium dial with hour markers made from 18ct gold, luminescent hour markers at the 3, 6, and 9 o’clock positions, luminescent hands, screw-down crown, and a caliber 3132 self-winding mechanical movement. This Swiss luxury watchmaker is known for creating multi-function chronographs with a sporty feel. Their Carrera collection is one of the most in-demand timepieces they offer. Many of their watches stem from the innovative features Carrera has introduced to the industry. The 41mm Formula 1 Calibre 5 has a stainless steel case, a unidirectional rotating bezel, a rubber strap, a sapphire crystal, a screw-down crown, a rotating bezel, luminescent hands and markers, a red-tipped seconds hand, a black dial with Arabic numeral hour markers at the 6 and 12 o’clock positions, and a Swiss-made movement. This is one of the most affordable entry-level luxury watches on our list. Look for this timepiece if you’re on a budget. 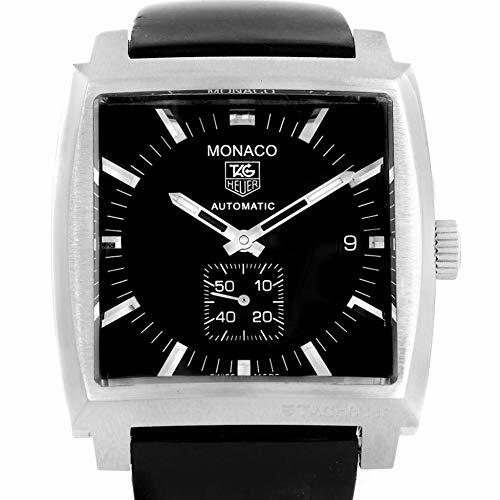 The 37.5mm Monaco WW2110 has a stainless steel case and bezel, a leather strap with alligator pattern, a sapphire crystal, a skeleton case back, a date window at the 3 o’clock position, a black dial, a seconds subdial at the 6 o’clock position, luminescent hands and markers, a fold-through clasp, and a 37-jewel, caliber 16 self-winding movement. This entry level luxury watch was popularized by Steve McQueen. You’ll instantly notice its distinct square shape which gives it a sporty look and makes it a standout among other timepieces. 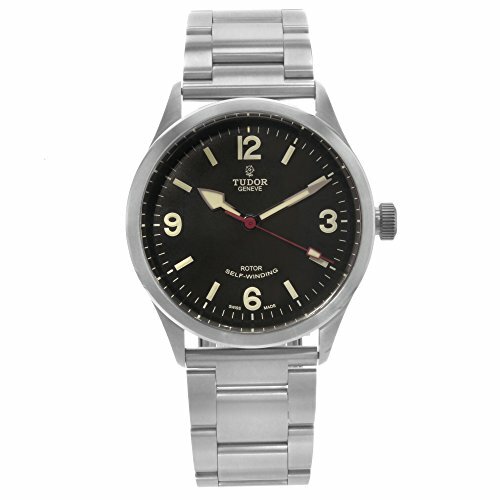 Tudor is popular for creating timepieces with iconic designs worthy of being called a ‘classic’ among watchmakers. They also tried experimenting with different shapes and sizes but their go-to design is that of the circular model. Today, the watchmaker focuses on creating accurate timekeeping mechanisms installed on circular logos. 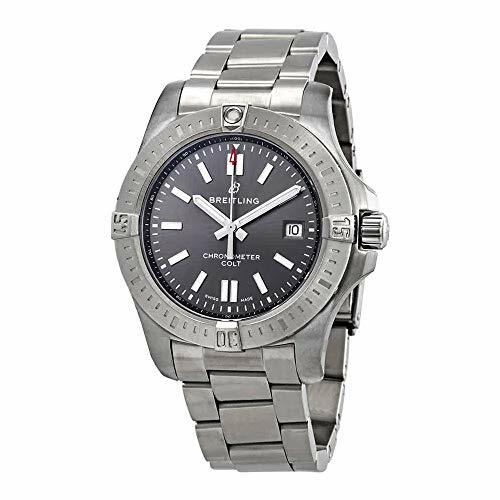 The 41mm Ranger 79910 has a case, bezel, and band made of stainless steel. It also has a domed sapphire crystal, a screw-down crown, a black dial with Arabic numerals on the 3, 6, 9, and 12 o’clock positions, a folding clasp, luminescent hands and markers, and an ETA caliber 2824 self-winding automatic movement. Owning a luxury watch can be considered an achievement because of how much they cost. Even entry level luxury watches cost several times more than your typical timepiece which is why you shouldn’t just decide on it without doing any due diligence. We’ve created this list of the best beginner luxury watches to save you the time and effort of looking into each prestigious brand and identifying which of them is the optimal pick for starting your collection. Take a look again at our guide and we’re sure that you’ll find something suited to your preference.